Enso Flats will provide living, working, and display spaces for artists. 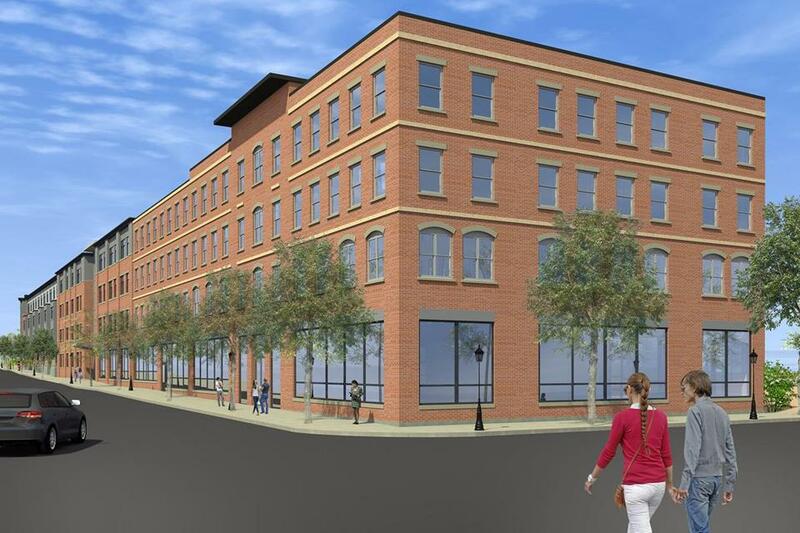 Applications are available for Enso Flats, a new artists community being developed in downtown Brockton. The deadline to enter a lottery for one of the apartments is Dec. 31. Slated to open in April, the four-story building at a corner of Centre and Montello streets will contain 42 affordable apartments, plus an art gallery on the ground floor. The new live-work space for artists is part of Trinity Financial’s $100 million residential and commercial development being built on the city block bounded by Main Street, Petronelli Way, and Centre and Montello streets. One of the landmarks on the block is the Enterprise Building at 60 Main St., the former home of the Brockton Enterprise newspaper. It has been rehabbed to create new commercial and office space, and the state Executive Office of Health and Human Services will be the first tenant, Zahler said. The back end of the building, where the printing presses once were, will be used as a parking lot, he said. At full build-out, the new block will include more than 50,000 square feet of commercial and office space; more than 10,000 square feet of retail and artist exhibition space; 215 residential units; and 530 parking spaces. All 42 units at Enso Flats will be earmarked as affordable, with rents starting at $493 per month. Income-eligible applicants will be chosen by lottery; they will be screened for income requirements, and must complete a 15-20 minute interview with the artist selection board. “This is an opportunity to live downtown in a new state-of-the-art building,” said Zahler. Titilayo Ngwenya, a Brockton resident who works as communications director for the Fuller Craft Museum and serves on the board that will select the artists, said she is excited to see Enso Flats nearing completion. Applications for the lottery can be picked up at the Enso Flats leasing office at 162 Main St. in Brockton, Monday through Friday from 10 a.m. to 4 p.m.
For more information, call 508-434-4072 or 800-545-1833, ext. 945.